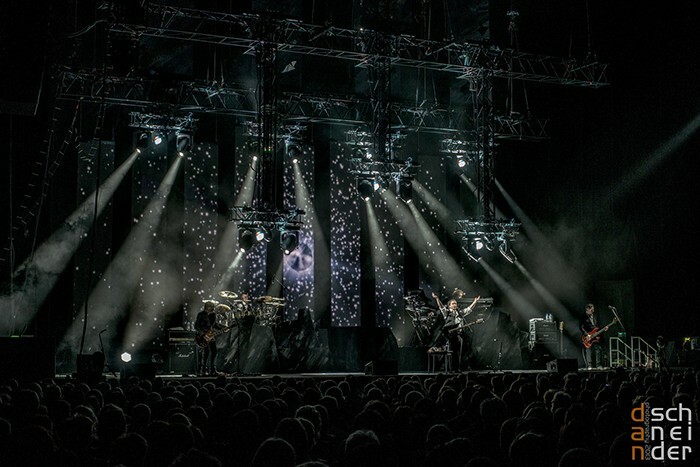 Chris de Burgh has trod the boards of venues throughout the world since the early 1970s. So far his albums, including 18 studio albums, have sold more than 45 million copies worldwide and received a total of 200 gold and platinum disc awards. The European singer and composer is travelling around Europe on tour at this moment. 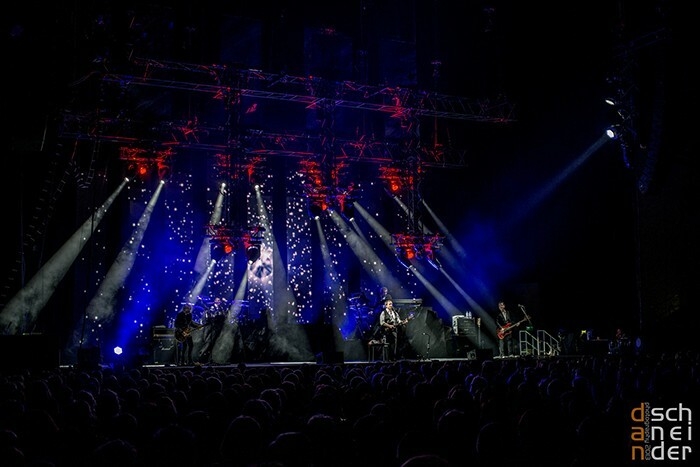 The lighting designer and operator Chris Schatz, from Klinkertor Studios/Schattenwerk has chosen 20 Clay Paky Sharpys and a large number of MA Lighting products for the tour. Augusta-based Gruppe 20 has provided the lighting, rigging and sound systems, as well as dealt with the transportation. 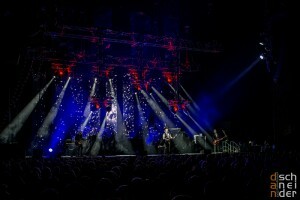 Chris Schatz says: "Clay Paky Sharpys are really fantastic lights! For one song, I achieved a striking effect using four simple cylindrical mirrors. The reflected rays produced an incredible moving light effect. 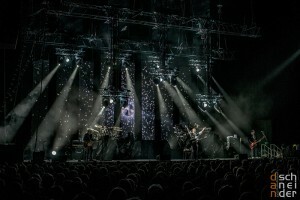 “I have dealt with Chris de Burgh's lighting and set design for ten years now and every year I have to come up with something new," he continued. "It is very important for the artist to have an extremely varied lighting concept in his shows. This year, however, there was also the problem that the tour is not based on a motto, album or similar concept, which I could take for inspiration. So I had to think up something entirely new. The idea for the set design came to me when I was looking at silicon. Its structure was the starting point for the set coverings, the backdrop and the roller blinds, which are raised and lowered in front of the truss towers. I built a floor on which the structure is drawn out. I attached mirror films to the floor and hit them with the Sharpys during the songs. I bombarded them with light and got very special reflections." The general tour lighting, rigging, video and sound equipment travels around in a total of two trailers. "To achieve this, we and Gruppe 20 have invested a lot in the design and development of special transport trolleys," Schatz said. "This was the only way of 'packing' a rather impressive-looking superb production into only two trailers." Florian Partzsch designed the video. Kay Möller is the video operator and Jo Greger, the C1 operator. The lighting design, rigging design, static calculations and video design were provided by the experts from "Klinkertorstudios".